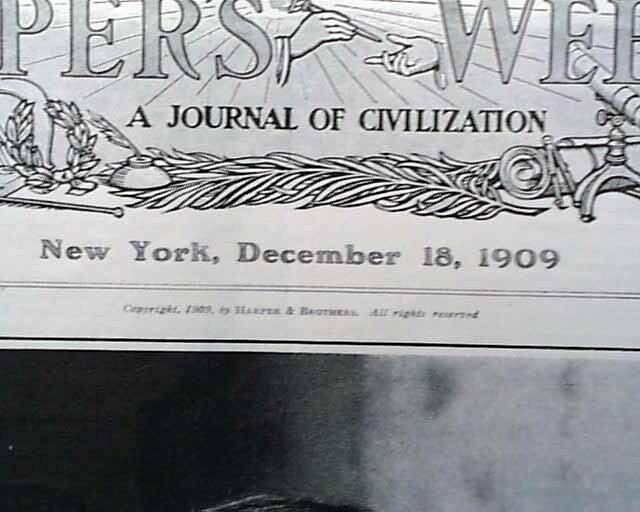 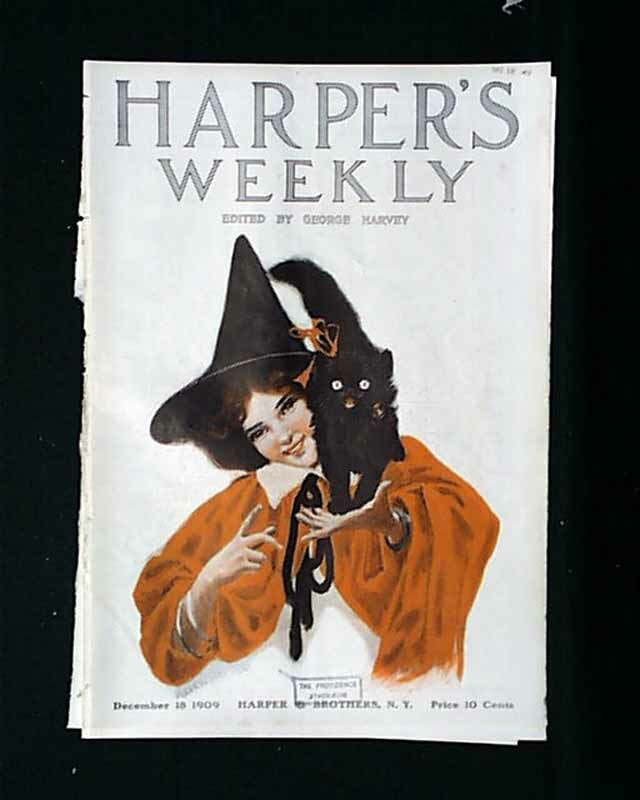 HARPER'S WEEKLY, New York, December 18, 1909 There is a color cover on this issue. 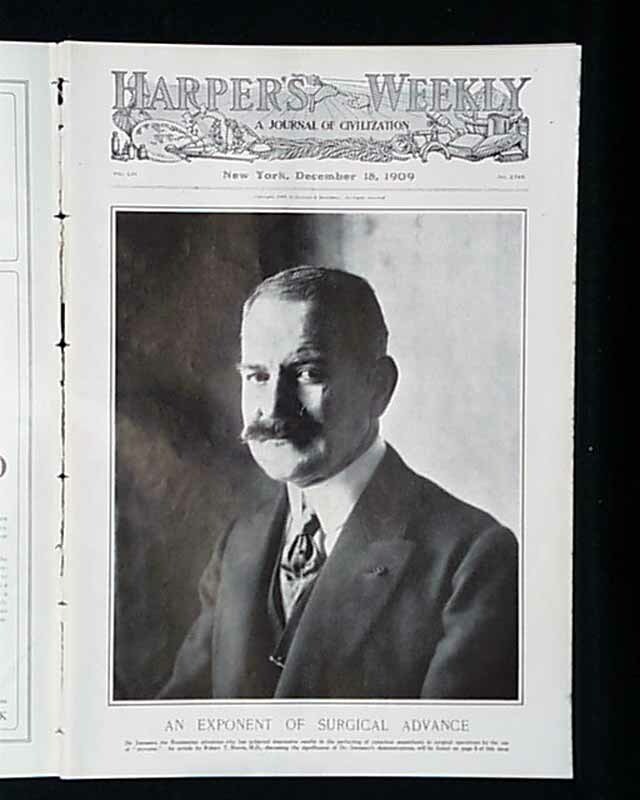 The front page of this issue has a photo of "An Exponent of Surgical Advance." 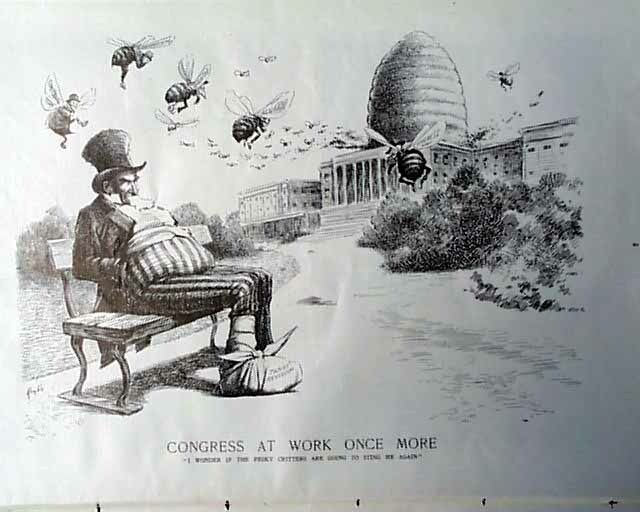 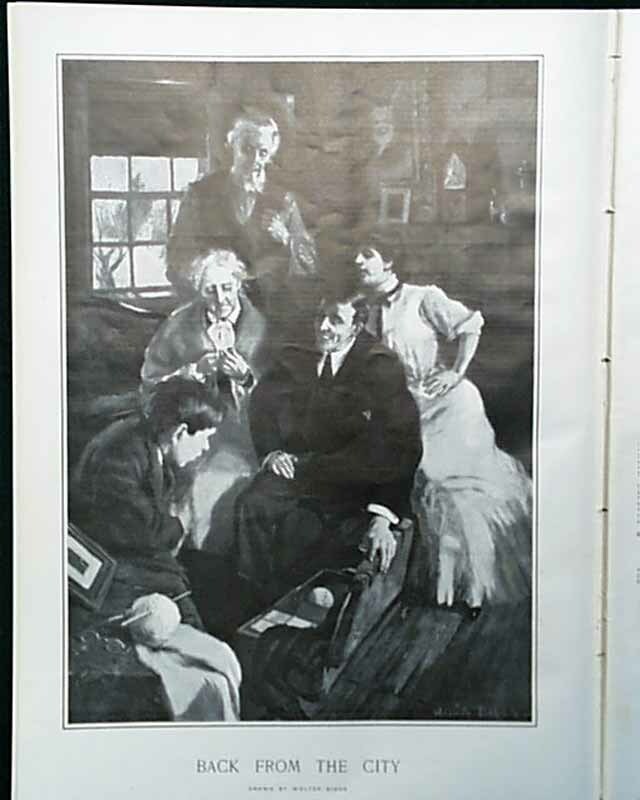 This issue has an illustration of "Congress at Work Once More--"I Wonder if the Pesky Critters are Going to Sting Me Again"" There is an article with photos of "Surgery on the Conscious" by Robert T. Morris, M.D. 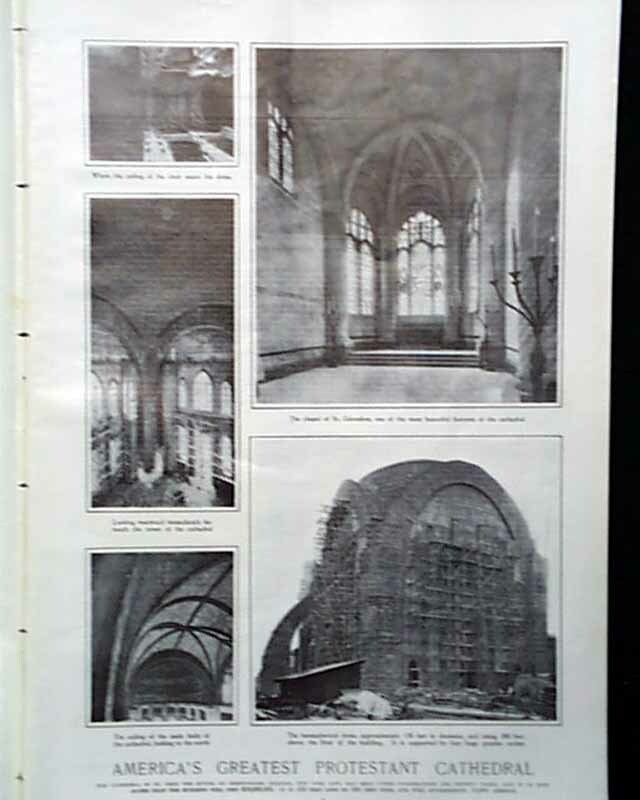 and a photo spread of "America's Greatest Protestant Cathedral." 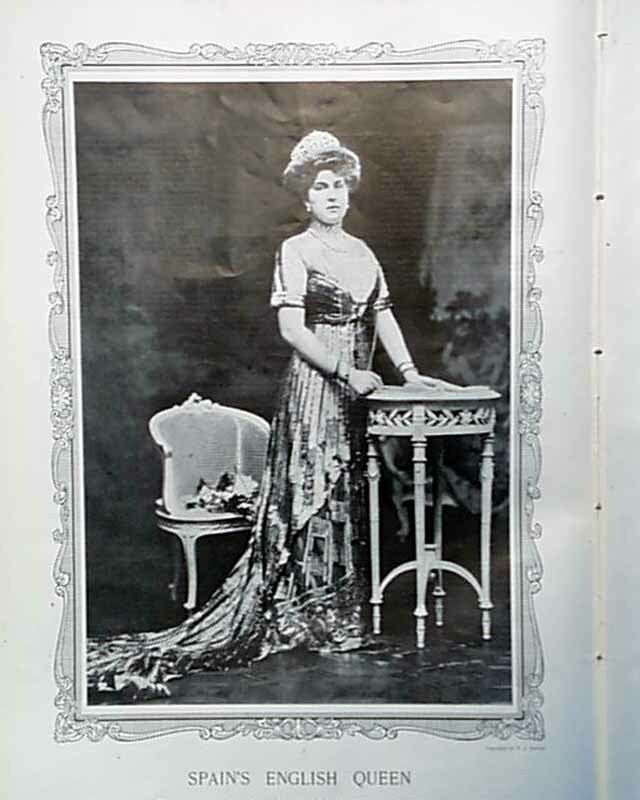 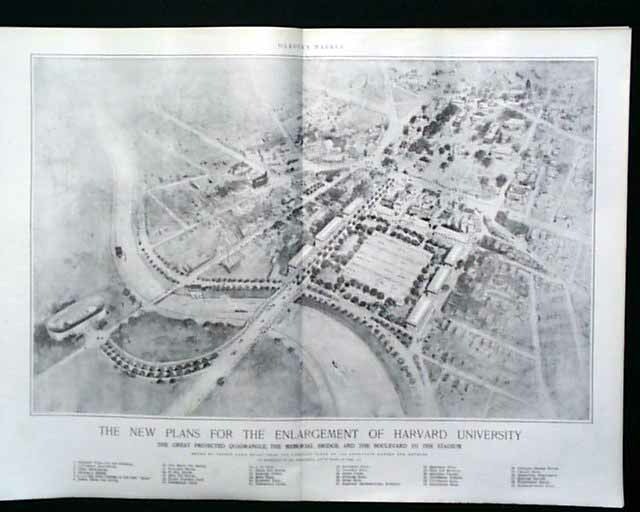 Also in this issue is a photo of "Spain's English Queen" and an illustration of "On His Way" by C. Clyde Squires plus a double page bird's-eye view, illustration of "the New Plans for the Enlargement of Harvard University" drawn by Vernon Howe Bailey and much more.